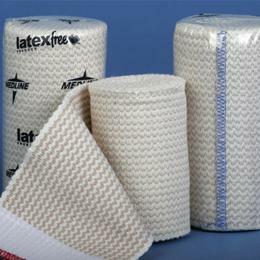 Matrix Elastic Bandages: Matrix Is Our Finest Elastic Bandage. Ideal For Low Compression Situations, The Polyester/Cotton Weave Provides Excellent Elasticity And Recoverability. Features An Easy-To-Use Velcro® Closure At Both Ends And Is Color-Coded For Easy Size Identification On Both Ends Of Roll. Latex-Free. Non-Sterile ' 3" X 5 Yards.